This Cutting-Edge GPS tracker is designed for advanced tracking/monitoring, especially for vehicle tracking using GPS, GSM and GPRS technology. The GPS tracker is designed for use in any vehicle to track it's location, such as cars, trucks, boats, motor homes, vans and construction machinery and many more - the live tracking possibilities are limitless! This is particularly useful if your vehicle, pets, child or your belongings have been stolen. Time to enjoy the benefits this GPS tracker brings! 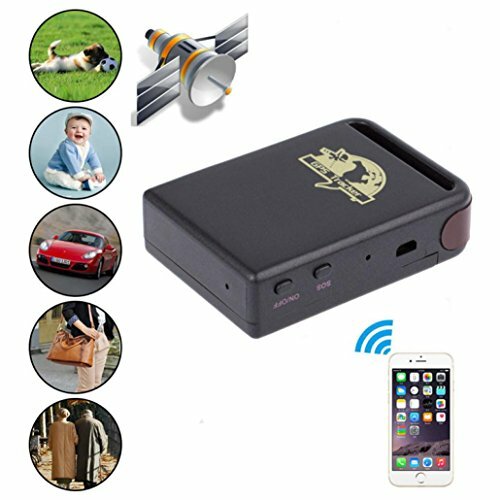 This product can locate accurately, provide real time tracking for: Vehicles (Anti-Theft) Protect Children, the old, vulnerable Loved Ones, the disabled, pets, etc.